Bring a cozy glow to any space with the Black Diamond® Moji lantern. 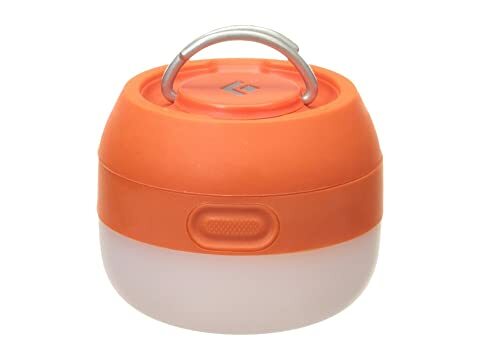 Travel size design makes it ideal for campsites, vehicles, and table-top illumination. Sleek, single-piece construction houses a frosted globe for even light distribution. Frosted globe provides bright, ambient light. Dimming switch allows for brightness adjustment. 1 TriplePower LED emits 100 lumens (on max setting).